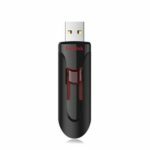 With its advanced data security options and spacious capacity, the Cruzer Fit USB Flash Drive gives you a secure, easy way to transfer your personal files. This USB drive features a convenient low-profile design that’s ideal for situations where a full-size USB drive is just too big, such as use with a TV box or car audio device. The Cruzer Fit USB also connects easily to computers and tablets. The drive’s low-profile design allows it to easily connect to any USB device. Connect it to hard-to-access TV USB ports for HD video play back or bring your music library to your car via the USB port on your vehicle’s audio system. 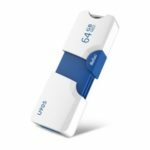 The flash drive comes with a protective cap, which shields the USB connector from damage when not in use. 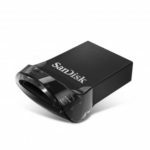 Compact in size, the USB flash drive packs enough capacity for your favorite files and your most critical personal data. Capable of accommodating photos, song and whatever else you need to carry. It’s easy to add files to the Cruzer Fit USB flash drive. Just plug the USB drive into your computer’s USB port and drag your files into the drive’s folder. No driver download or app installation required, simply plug and play. 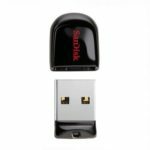 The Cruzer Fit USB flash drive comes with SanDisk SecureAccess, which creates a password-protected private folder on your flash drive. With your private files protected with 128-bit AES encryption. You’ll be able to share your USB drive without compromising your privacy. The drive features a built-in LED light so you can easily monitor activity and know at a glance when it is reading or writing data.